If you have become unhappy with your smile or feel embarrassed by the look of your teeth, you can have your smile altered to be straighter, whiter and more appealing through cosmetic dentistry in Greenville, SC. This can give you a boost of confidence in your appearance especially if you shy away from smiling or are self-conscious about showing your teeth. Through cosmetic dentistry, you can significantly enhance the look of your teeth, mouth, and smile. A number of cosmetic procedures are available from your dentist that allow you to fix imperfections in a relatively short amount of time with amazing results. 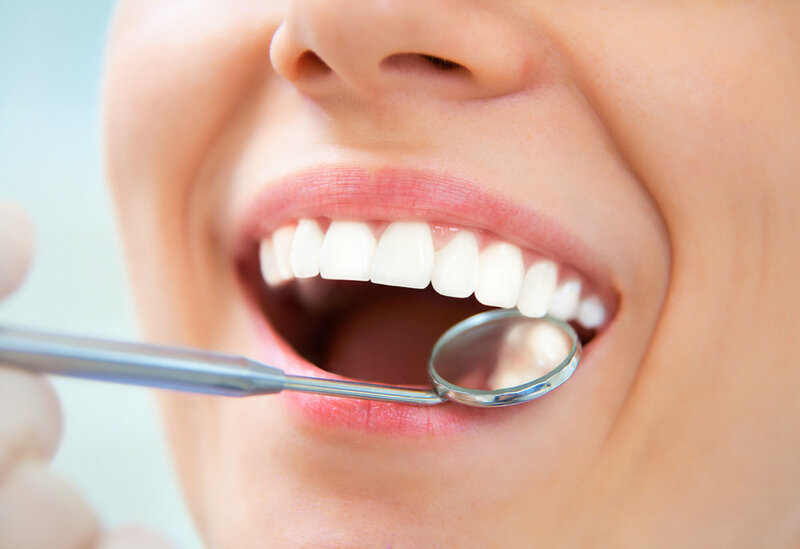 While a consultation is required to determine what issues, you have with your teeth and mouth, cosmetic dentistry can work to improve virtually anyone’s smile. Technologies today are designed to ensure as much of the tooth structure stays intact as possible. Depending on the procedure performed, you can make the transformation to your new teeth the same day, allowing you to walk out of their office with a whole new lease on life. Dr. Zebro will determine what type of cosmetic dentistry procedures are great options for you by examining your mouth and your teeth structure. Gaps, chips, cracks, dulling, and staining can all be remedied with cosmetic dentistry at Magnolia Dental. Some patients may find they need multiple services to achieve their desired outcome concerning their teeth. They may need to repair gaps, cracks or chips as well as have whitening done to produce a quality look. Dr. Zebro will be able to identify what procedures can be utilized to give you the smile you have always envisioned. Dental bonding can work to improve teeth that have been chipped, cracked, discolored or even are decaying. Through composite dental bonding, Dr. Zebro will place a composite material on the surface of the tooth. This composite material looks just like enamel and is shaped and contoured to your tooth. It is then hardened using light, where it will blend seamlessly into your current tooth structure to make a very natural looking tooth. With composite dental bonding, you will have the blemished tooth repaired to give you a natural smile that matches your other teeth. Veneers can drastically improve the exterior appearance of your teeth. During this procedure composite or porcelain, laminates are attached to the tooth using an adhesive bonding method. This can help to repair chips, cracks, and gaps in the teeth. By having porcelain veneers placed on your teeth, you can also improve tooth discoloration that is severe in nature. If teeth whitening does not produce the results you were hoping for porcelain veneers are another option that enhances the color of the teeth and create a perfect smile. Click here to learn more about porcelain veneers. Porcelain crowns help improve the look of a tooth that is misshaped, discolored, cracked or has a large filling in it. Porcelain crowns can be made from a variety of materials including porcelain, zirconia and gold. While a crown is an ideal choice in some situations, your dentist will only recommend them if they would produce the best results for your situation. To produce a crown, your dentist will make a mold of your tooth. A temporary crown may be placed on your tooth until your permanent crown is ready. 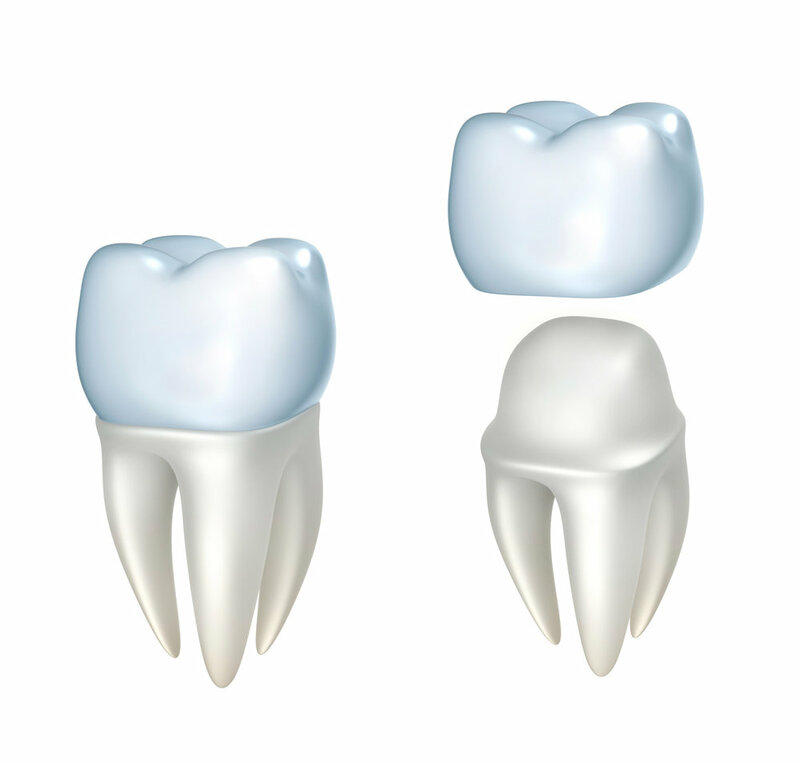 When the permanent crown has been made it will adhere to your tooth, which will last many years with the proper care. Teeth whitening is an easy way to rejuvenate your smile. It is the most common form of cosmetic dentistry and can work wonders to change the appearance of your smile. While some say that teeth whitening makes you look years younger, it will certainly make you feel confident when you speak and smile as you will no longer have staining or discoloration. During teeth whitening, bleach is used to improve the overall coloring of your teeth, making them look whiter and healthier in their appearance. Teeth staining can occur from smoking, drinking coffee, tea or red wine, and poor oral hygiene. With teeth whitening, you’ll be able to reverse these effects and have a brand new look that you’ll be proud to show off. Teeth whitening can be done in the office or as an at home procedure. In most instances, you’ll notice a difference in as little as two weeks. Additional upkeep may be needed every six months to retain your pearly white appearance. With Invisalign, a patient is able to correct a number of teeth issues. This can help with overbites, underbites, crooked teeth, protruding teeth, and gaps. Invisalign is similar to braces except it is much more inconspicuous. It is a clear tray that a patient must wear for a determined number of hours of the day. The trays are changed every two weeks allowing slow movements of the teeth. In as little as a year, a patient can have a perfect smile and correct their teeth issues. Invisalign is preferred over braces because it is a more comfortable way to straighten teeth without brackets and wires that can cause sores in the mouth. The trays can also be taken out as necessary and are barely noticeable by others. Invisalign now offers Express 5 or Express 10 treatments for cases where limited tooth movement is needed. If you would like a free Invisalign consult, contact Magnolia dental today at 864-242-2848! Sometimes the gums of your teeth can be too low, too high, or uneven, detracting from the look of your smile. With gum recontouring, you can have your full tooth length exposed, so you have a more vibrant smile. Through surgery or the use of the soft tissue laser, your gums will be contoured to showcase your teeth more naturally. Done under local anesthetic, gum recontouring can most often be done in one procedure. Your gums will be tender that first day, and you will need to stick to a soft diet, but before you know it, you will have an improved smile without your gums overshadowing it. While gum recontouring is done many times for cosmetic reasons, it can also be done to reduce the effects of periodontal disease, which causes the gums to recede and trap bacteria. In this instance, it is a dental procedure for health reasons but will also enhance the look of your smile. The first step in securing your cosmetic dental procedure is to find a qualified dentist to assist you in your vision for your teeth. It is important that you find a dentist that you are comfortable with and trust as they will be crafting the look of your new teeth. When you have found a dentist to perform your cosmetic dentistry in Greenville, SC, you will first meet with them for a consultation. Here, they will evaluate your teeth and prepare information to provide an accurate snapshot of your dental health and how they can assist you with your smile. Remember that your consultation is also a time for you to evaluate your dentist and ensure that they are a good fit to perform your cosmetic treatment. You want to ensure you feel comfortable with their recommendations for your smile and agree with their desired solution to resolving the teeth issues you are having. It is important to fully understand the cosmetic dental procedure you will be having done. You should know how this will affect your current tooth/teeth structure, the down time, changes to your teeth and any other effects the procedure will have on your smile. There are a variety of advantages to having cosmetic dental work done to your teeth. While you will be overwhelmingly pleased with the look of your teeth after this work is completed, it can also help to improve your self-esteem as you are no longer ashamed of your smile. You will also be more aware of your dental health and ensure proper cleaning and care to make sure you maintain the look of your cosmetic procedures. This can also work to increase the longevity of your teeth long into the future as you have corrected the issues that presented problems for you. Above all, you will have a healthy-looking smile that you are proud to show off. You’ll be happier and feel good about yourself all because you had cosmetic dentistry to enhance your teeth. If you are looking for a way to improve your smile, you could be a good candidate for cosmetic dentistry. Dr. Zebro at Magnolia Dental can help. She is experienced in a range of cosmetic dental services that can improve the look of your teeth, so you feel more confident in your appearance. Contact us for a consultation today!